Unfortunately, when you have a tree removed, there is a chance that there will still be a stump left behind unless you specify that this is removed at the time of removing the tree. Most people don't consider this until after the tree has been removed. Even then, they may not give it much consideration. Those who are making plans to utilize any part of their lawn that has a stump on it; will usually contact Tree Removal Richmond to grind the stump for them. 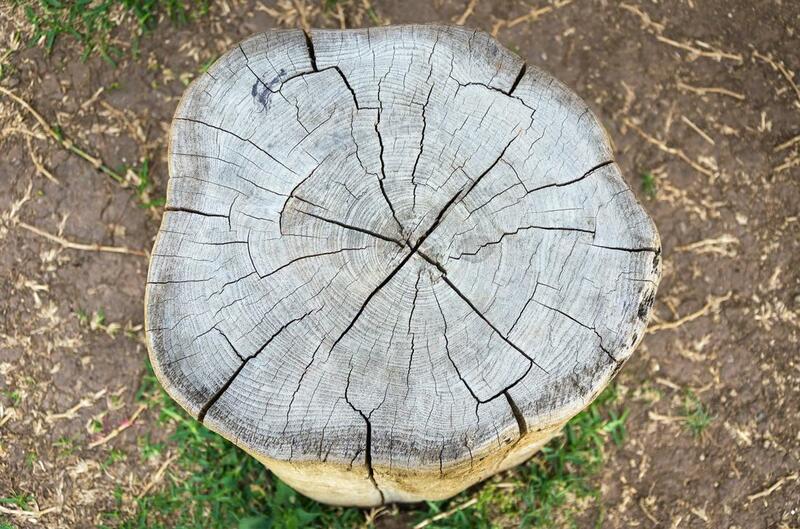 You can reclaim your lawn again by letting our experts grind your stump. This can be accomplished in on our initial visit. Our experts not only have the training needed to handle the job, they also have the right tools and equipment. Most importantly, they know how to safely and effectively utilize them. If you have been thinking of getting rid of the stump left behind in your lawn, don’t hesitate to give us a call at Tree Removal Richmond. Even if you have multiple tree stumps cluttering up your lawn, we can effectively remove them all for you in one visit. If you do not have the finances to have them all removed at the same time, no problem. We’re happy to take care of them in several visits. We’ll work with you to make sure you receive the help that you need. If you have contacted another tree service and received a quote, let us know and we’ll likely be able to beat their offer. We want to offer you the help you need at prices that you can afford. Really, what good are our services if our customers can’t afford them? Regardless of how many stumps you need to have removed, we have all that we need to handle the job. Someone who has the necessary experience and does this type of work for a living knows how important it is to be careful when grinding your tree stump. It is very important that they use the correct tools and equipment when handling the job of grinding your tree stumps. They are not prone to cutting corners because they realize that this could make a difference in the quality of service that they provide to their customers. Prior to completing the job, a professional will find out exactly what the customer would like done with the remains of the stump. You can trust our services because we are the ones that have proven to be the most effective at grinding trees. With a team of professional arborists, you are capable of receiving the most thorough tree stump grinding services possible. With the level of service that we consistently provide to our customers, you can be confident that we will be able to give you your money’s worth. Most people work hard for their money and we will make sure you don’t waste a dime on inefficient stump grinding services.